Did you know the skin and nervous system are created from ectoderm, the same material, in the womb?! I learned so much writing this article on skin and mood for HealthCentral​, talking with Dr Peter Lio of Medical Dermatology Associates of Chicago​ and Dr DePaulo of Johns Hopkins Medicine​. 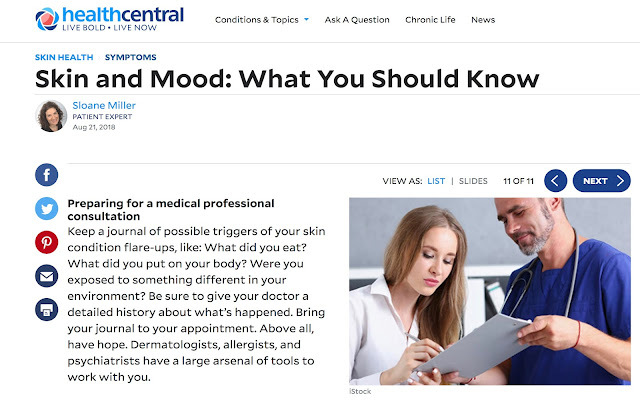 Read more here on HealthCentral.com!